Wow! 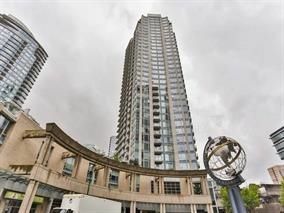 Most sought after NW exposure offering best views in the building! The 28th floor offers a spectacular & stunning views from every room. This 2 bedroom & 2 bath suite is complete with a den, a solarium, plus an outdoor balcony. Over 1027 SF of open living space featuring S/S appliances including European fixtures & granite counter tops. Enjoy the amenities the building offers: indoor pool, hot tub, theatre room & exercise centre. Live in the heart of one of the city's most vibrant neighborhoods: entertainment, shopping, sporting events & great restaurants are all at your doorstep! Don't wait. This one won't last long.